Wedding Planning 101 – Five Great Reasons to Hire an Expert Wedding Planner! Today we’re talking about a crucial aspect of planning a stress-free wedding, and something we love to promote here at Junebug… the benefits of working with an expert wedding planner! If you’ve ever attended a flawless wedding, no doubt you’ve seen first hand what a great wedding planner can do, but to really learn about the specific benefits they can bring to the wedding planning process, we brought in an expert – Heather Lynne Vickery. Heather is the owner and event director of Greatest Expectations Special Events & Weddings, Inc. in Chicago, Illinois. Heather says event planning is more than a career for her – its a labor of love! Armed with an imagination borne from her college theater days, and experience honed in non-profit event management, Heather launched her business thirteen years ago and it quickly blossomed into one of Chicago’s most celebrated event planning and design companies. Her clients praise her ability to bring their vision to life, all the while reducing stress and making both the planning and the event truly enjoyable experiences. We are so happy to have Heather as one of our Junebug members, and are thrilled that she offered to share some of her expertise with us today! From Heather: I wanted to share my thoughts on hiring a wedding planner. Sure, were admittedly a biased bunch on this topic at Greatest Expectations, but we have heard both sides of the story many times – brides who are thrilled that they had a relaxing, dreamy wedding day; and brides who chose not to hire a planner and then ended up with major regrets. In light of that, I want to present my Top 5 reasons (in no particular order of importance) that hiring a wedding planner is essential to beginning your wedded bliss on the right foot! Budget: Often people think hiring a wedding planner is simply an added expense theyll need to fit into their budget. While there is a fee associated with hiring a wedding planner, I can assure you that fee will be worth the time, effort and energy you save. Just as important, utilizing your planners budget-savvy expertise can often save you a great deal of money. More often than not, the fee for hiring a wedding planner will be paid back to you during the planning process. A planner will consider your budget, help navigate the often un-clear price tags and fees associated with planning a wedding, and balance that budget around your priorities. Even couples with the smallest budgets can really benefit from hiring a wedding planner! Knowledge of the Industry: A wedding planner comes with a handy and invaluable toolkit, and not just the one they bring with them the day of your wedding! Wedding planners are armed at all times with an arsenal of relationships with other professionals in their area. After discussing your vision with you, your planner will be able to help you find the right venues, florists, photographers, etc. that align with the vision you have for your wedding day. They will likely find people for you that you may not have discovered on your own and are a perfect match! Most planners don’t have a set “team” that they work with every time. A skilled planner’s talent lies in finding people that are just the right fit for each other. Once your planner has put together a list of suggested pros to meet with, they can aid in the selection process as much as you’d like. They can make introductions and let you take it from there, or completely take over the process on your behalf (not forgetting to get your stamp of approval on all important decisions along the way, of course!). Creativity: Think of wedding planning like interior design. It seems simple enough, and most brides have some sort of vision for their wedding. But, it takes a certain skill set to craft that vision into a tangible product. Here is where your wedding planner comes in. Not only can a planner serve as a financial advisor and resource, we are also artists when it comes to taking our clients’ ideas and crafting them into a beautiful event. So many brides start out of the gate with wonderful, crazy, off-the-wall ideas for their celebration but never get to marry (pun absolutely intended!) those ideas with a wedding. Part of a planners job is to take whatever vision is presented to them, no matter how off-the-wall, and craft it into something that can still be deemed a wedding. Someone to Run the Show: Even a bride who is able to plan all of the details and tie all of the loose ends together without an ounce of help from a planner needs someone to run her fabulous show on the day of the wedding. Why, you ask? Well, you know that florist/photographer/caterer/baker that youve been working with up to this point? Are you prepared to be their go-to person on your big day for last minute questions about setting up at your venue, the order of events on your timeline and when and where their own meal will be served? This is a step that no excited bride envisions herself having to do while she is having her dress fluffed, or sipping champagne with her wedding party, and dancing with her guests during the reception. Trust us, if a designated third party (ahem, a seasoned wedding planner) doesnt exist to orchestrate these minute details, they will end up putting a major damper on your bridal glow. Ok, so you think your Mom, sister or best friend will take on this role…but is that really fair? Do you want them running around and working your entire wedding day? Day-of coordination for a wedding is hard work. We often work 12+ hours, eat our meals in about 2 minutes flat and we are the glue that keeps everything together. This is not a job for your mom, sister or best friend, they should be enjoying the day with you. A seasoned wedding planner will be there to tie up the loose ends, pull it together into a clear timeline, and ensure that the day of your wedding runs the way you wanted it to all while you and your loved ones are having the time of your life! Last, but certainly not least Alleviate Stress! Ill be the first to tell you: planning a wedding is quite a process, and, like all important decision in life, it involves some stress. There is a laundry list of decisions to be made, money to be spent, and things to be done leading up to I do. However, it should be an exciting and happy experience for all involved. There is often added stress between family members and friends in addition to the difficulty of knowing how to plan a wedding, when it is something you have never done before! It always kills me when I hear stories about brides out there who have said I cant wait until this is over. Hearing that statement breaks my heart, and is why alleviate stress is my absolute, number one reason for hiring a wedding planner. Wedding planners are here to take the burden of contracts, due-dates, timelines and table settings (and thats only a tiny part of our check list) off of your shoulders so you can focus on the fun…clinking champagne glasses with friends and family at showers, sitting pretty for hair and makeup the morning of your wedding, and ultimately making the trip down the aisle to say I do to your sweetie. 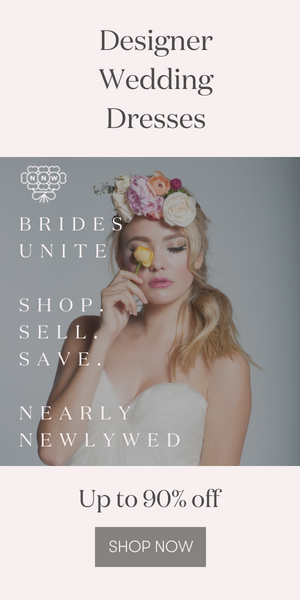 There are wedding planners of all styles, personalities and budgets out there. It is important to hire one that makes you feel relaxed and comfortable. At Greatest Expectations, we often tell our clients they should want to meet us for cocktails. It is important that they like us that much! Otherwise, they may never be able to relax enough to really enjoy the process. I hope you find the perfect planner for your big day! Thank you Heather, for sharing your expertise and knowledge! For more information on Heather’s company, Greatest Expectations, please visit her website and blog (which is always full of great planning tips and ideas!). And for recommendations of great planners in your area, please visit Junebug’s hotlist of the World’s Best Planners & Designers! Relieving pre-wedding and “day of” stress is surely the wedding planners’ greatest blessing for the bride and groom! Great post, from a photographer’s perspective I really appreciate working with a great planner, EVERYTHING runs smoother, and in turn the photos look better, thanks for sharing!! Nice post there, you have very well summarized why it is important to have a wedding planner. Thanks for writing such a good article.. I really like how you said that a wedding planner will consider your budget when it comes to the planning process. My fiance and I are working on planning our wedding and we have been thinking about hiring someone to help us with the reception and catering. We will have to keep these tips in mind while we are searching for the right person, thanks for sharing! I really like your tip about thinking of wedding planning like interior design. I think that’s a great idea since my sister is going to be getting married in the next few months. We have been thinking about hiring an event planner to help us with the whole process so we will have to ask them about the whole interior design approach. I’ll be sure to keep these tips in mind, thanks for sharing! In this blog you are showing us five great reasons to hire an expert wedding planner! You have given me the keys to the kingdom! Really so good article I have learned a lot from your article. My little sister just got engaged, and I want her wedding to be perfect. I think it would be wise to hire a wedding planner for the event. I am glad to know that a wedding planner can serve as a financial advisor and resource. It is also great to learn that they are also artists when it comes to taking clients’ ideas and crafting them into a beautiful event. We will start looking to hire a wedding planner soon, thanks. Hiring a wedding planner is maybe additional to the expenses but it will really help a lot during the wedding event. A wedding planner is expert in wedding events and in that case the program will be a success if you hire one. Thank you for sharing this article.